One winner will receive a February BeautyFIX box and two past BeautyFIX boxes! You’ll get a second February BeautyFIX box and two more past BeautyFIX boxes for a friend! 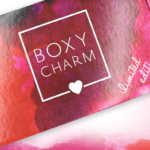 Check out the full spoilers for the February BeautyFIX box to see what you’ll receive! BeautyFix is $24.95 a month (limited sign-ups available each month) or $34.95 for a one-time purchase. Check out our reviews of past BeautyFix boxes to learn more about this subscription. What sub box item will you be using on Valentine’s Day. Beautyfix is the box I’ve been with the longest and it never disappoints! What do you hope someone does for you to make you feel special this Galentines Day? If you could win a year of any subscription no matter price which one would it be? What celebrity would you like to see curate a Galentine’s Day Special Edition box? What’s the best waffle topping? What’s the perfect way to celebrate Galentine’s day with your best lady friends? What gal do you wish would start a curated subscription box? Do you get tired of filling out the entry forms and never winning? (All of the other good questions were already taken). What homemade gift would you include in your your own curated Galentine gift box? If you could invite anyone (living or dead, fictional or real) to your galentine’s celebration, who would you invite? What are the 3 most important things to you in keeping/ continuing a subscription? Last question should be: Who is your Galentine and what makes them so special? How have subscription boxes influenced your life? What sub box items do you get most excited about? Thank you so much! Best Galantine’s Day! Would you rather spend Galetines with the ladies from MSA- or have the perfect date night for two?! What is your favorite sub box item of all time? If money were no object, how many subscription boxes would you subscribe to? What gift would your best friend most like to receive, and why? What subscription item are you using this Valentine’s Day? Would you prefer not to call it Galentine’s Day? – as many women really don’t consider this a holiday. Note though – I am delighted by and have no complaints about these giveaways. 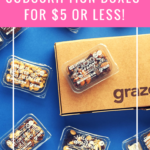 What makes the ultimate subscription box? What is your favorite sub box that you discovered threw MSA? What activity do you like to do most with your galentine or friends? The perfect subscription item/box/experience for your galentine’s day? What do you like most about MSA? eg giveaways / box reviews / swap section / forums? What new feature will you like to see? I love Galentine’s Day, thanks to MSA! If you can curate a box, what 5 items would you include in it? How important is free shipping in your decision to subscribe to a box? What Galentine’s day giveaway would you be most excited to win? If you could choose any subscription box to be your valentine who would it be? Whst would you give your fave Galentine? Who are you most grateful for this galentines day? Are you going to be using any products you received in a subscription box for valentine’s day? Who is your Galentine and why? Why you can’t live without your BFF. Which items would you be sure to include in the perfect Galetine’s Sub Box? If money were no object, how many boxes would you subscribe to? Who would you gift the subscription box to? Perfect for my best friend and I! We are obsessed with Beauty subscription boxes. & might even end up subscribing if we win this giveaway and love the boxes. What item have you received in a sub box that you thought you would hate, but ended up loving?